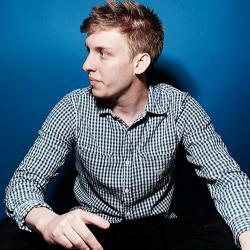 George Ezra Barnett (born 7 June 1993) is an English singer-songwriter. After releasing two EPs, Did You Hear the Rain? in October 2013 and Cassy O' in March 2014, Ezra rose to prominence with the release of his hit single "Budapest", which reached the top ten in numerous countries around the world, reaching number one in Austria, New Zealand and the Czech Republic. Ezra's debut studio album Wanted on Voyage, which was released on 30 June 2014, reached number one in the UK and the top ten in seven other countries. It was also the third best-selling album of 2014 in the UK. Zane Lowe, one of the most popular Radio 1 DJs, called him "one of the most compelling and powerful new vocalists around."